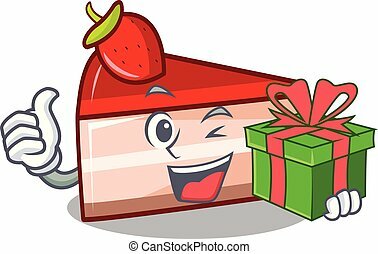 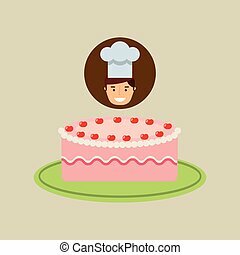 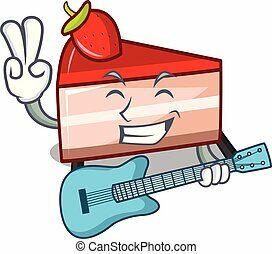 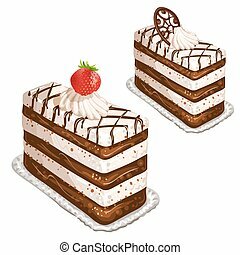 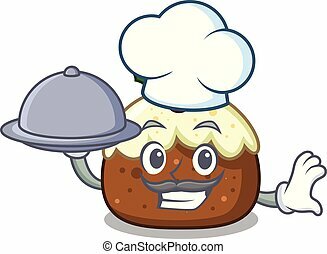 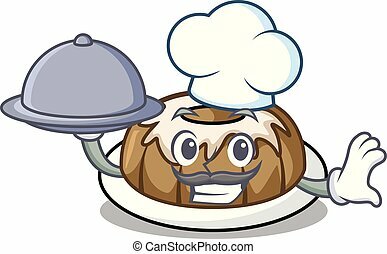 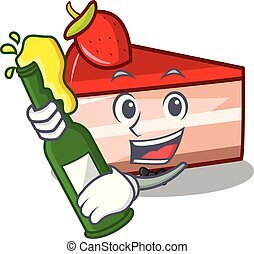 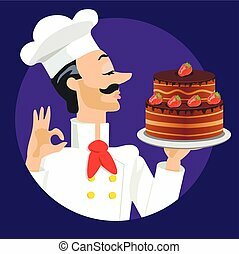 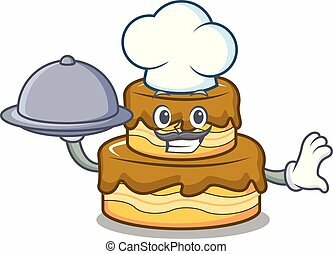 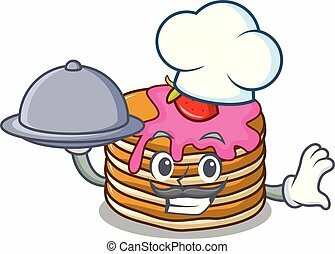 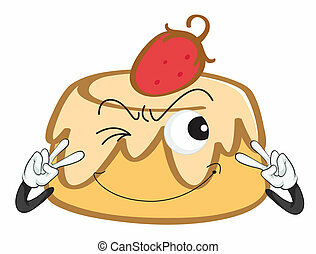 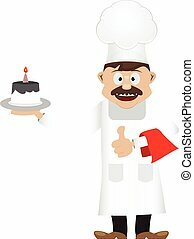 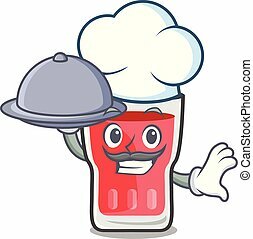 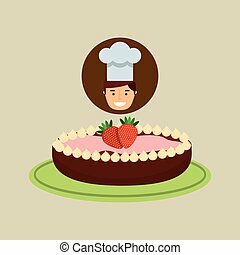 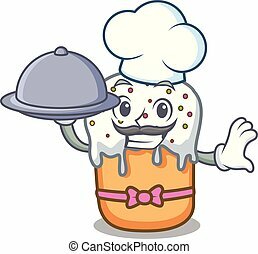 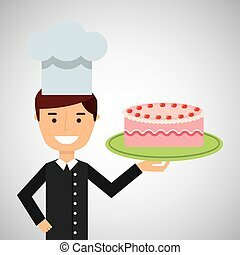 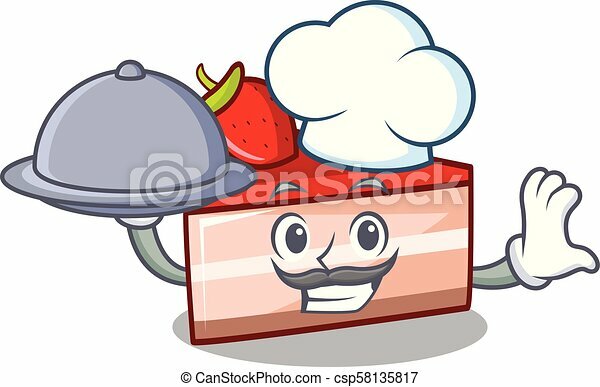 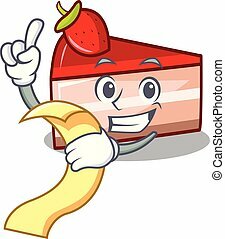 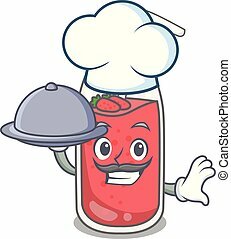 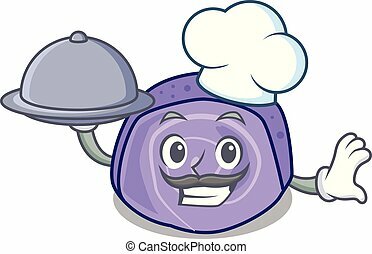 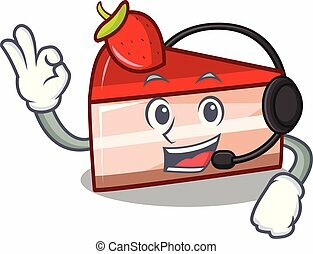 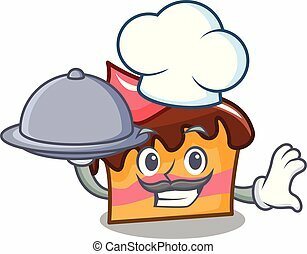 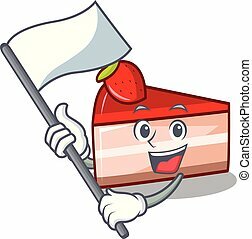 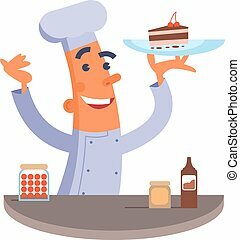 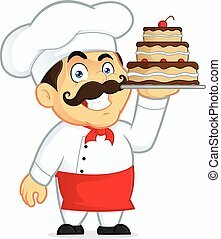 Chef with food strawberry cake mascot cartoon vector illustration. 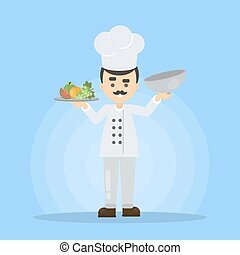 Male smiling chef with tray with food standing. 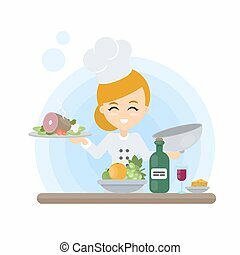 Female smiling chef with tray with food on the kitchen.